Every maker has a story. 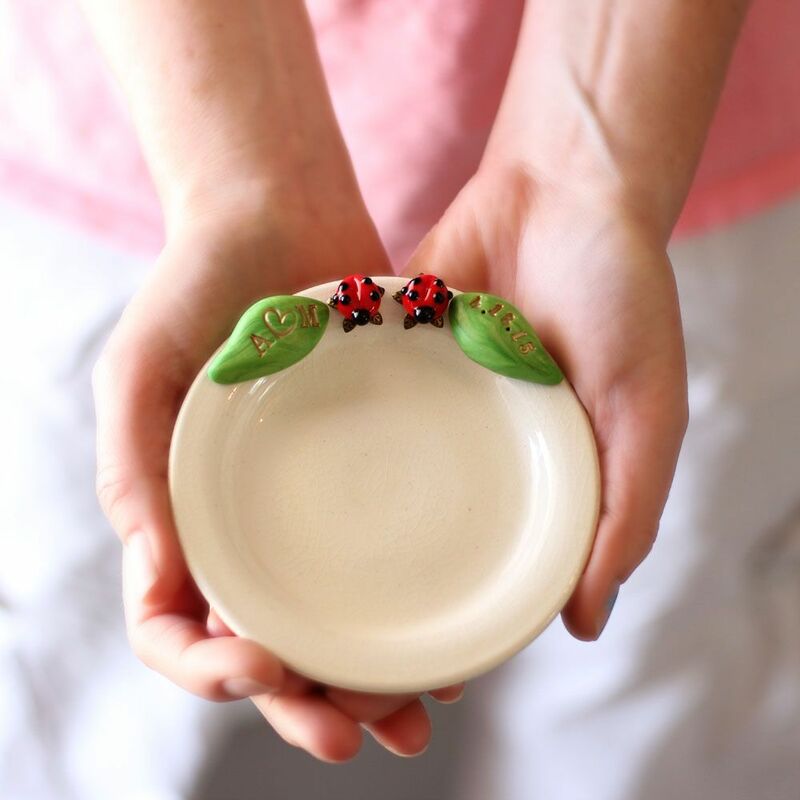 Be a part of elise thomas designs's story by placing an order, leaving a review, and seeing your review appear here. 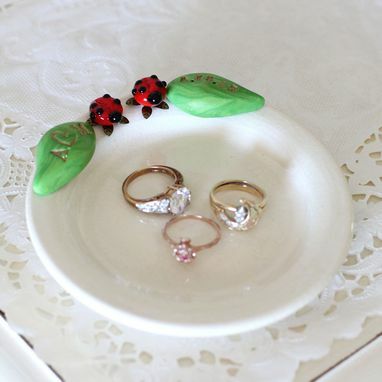 Wish your newlyweds luck with this adorable ceramic dish, ornamented with 2 handmade glass ladybugs. 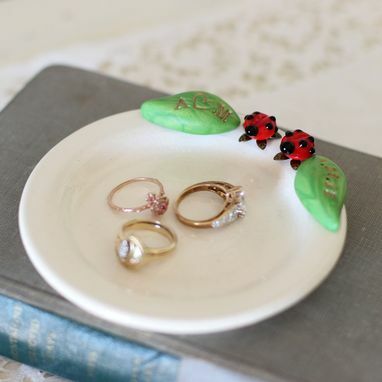 My ladybugs are individually sculpted from molten glass, making each one a unique work of art! The dish is wheel thrown using white ceramic clay, finished with a clear crackle glaze. 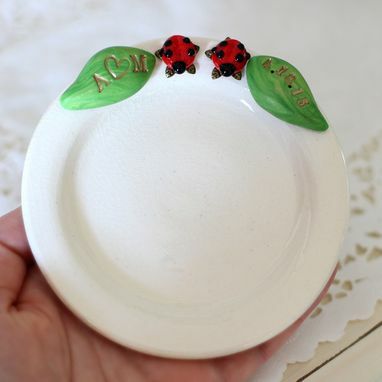 Your initials are hand stamped into a green clay leaf to the left of the ladybugs, while your date is stamped on the right. Initials and date are highlighted in antique bronze. 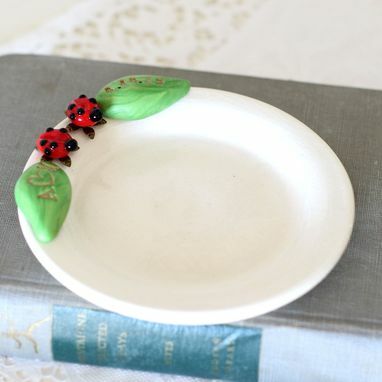 A lovely engagement, wedding or anniversary gift!